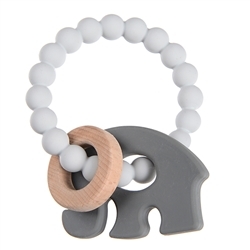 Chewbeads Baby Brooklyn Teether - Grey | Soothe baby with teething essentials at SugarBabies! Chewing creates pressure on the gums which is an important part of distracting a distressed baby from the discomfort caused by their emerging teeth. The Brooklyn Teether is one of the best silicone and wood teething rings available and is sure to soothe baby’s sore gums. The characters are adorable. The soft silicone is a gentle but effective texture to help baby ease their pain and provide some fun entertainment as they begin to explore the world around them. 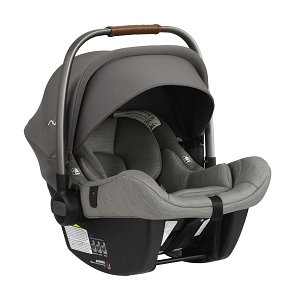 The Wood is a natural material and offers a new texture and safe way for babies to explore the world. Try putting this teether in the freezer for a nice cold treat.